The beauty and mystery of renaissance gardens seems only to grow once given over to centuries of abandonment. Such is the case of Villa Demidoff. Commissioned by Francesco I de’ Medici in the 16th century Villa Demidoff and the nearby Villa di Pratolino took over 12 years to complete. 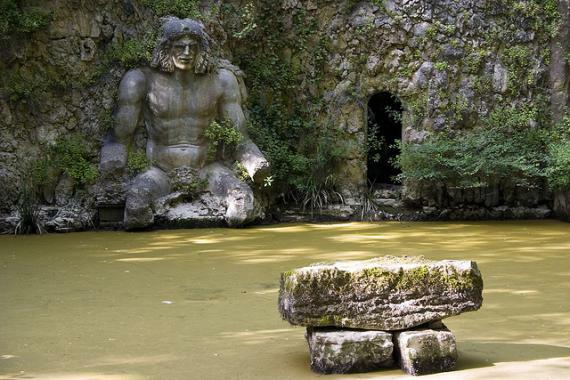 The end result was a stunning near-labyrinth of natural caves, lakes and massive sculptures. 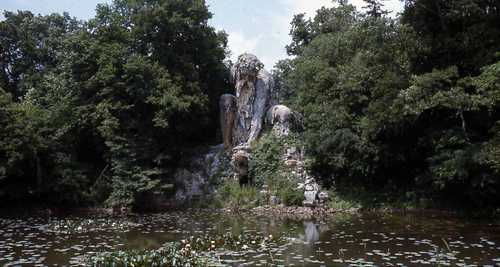 Of the statuary, the 16th century “Appennine Colossus,” is the main focal point of the landscape. 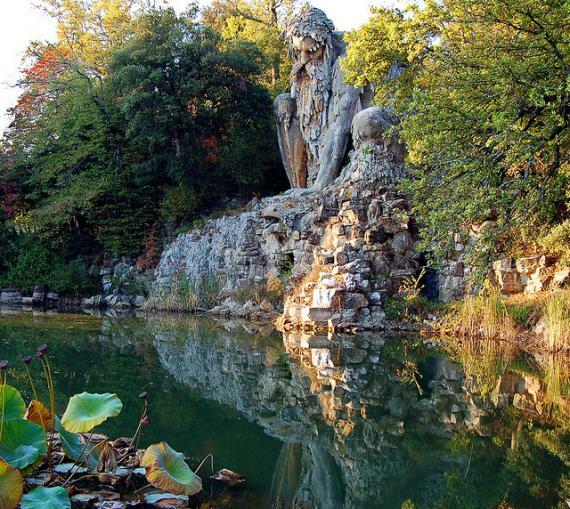 He sits atop a grotto in apparent anguish at his fate. Although most of the park and villa was completed in the 16th century, it was all but abandoned in the early 1800s, and some of its delicate statues were actually removed and taken to another Italian garden. Slowly being consumed by nature, the gardens were finally rescued by Ferdinand III, Grand Duke of Tuscany, who was so struck by their natural beauty of the place, that he decided to destroy the ruins of the villa and focus completely on the gardens themselves. After changing hands a few more times, the wild grounds eventually fell into the hands of the government of Florence, who operated the area as a public park during the spring and summer months.